Just like humans, dogs and other animals are easily susceptible to all different types of cancer. Canine bladder cancer, although rare, is very serious and deadly. Transitional cell carcinoma (TCC), also called urothelial carcinoma, is the most common canine bladder cancer. It obstructs the flow of urine, and can spread to the lymph nodes and other parts of the body. 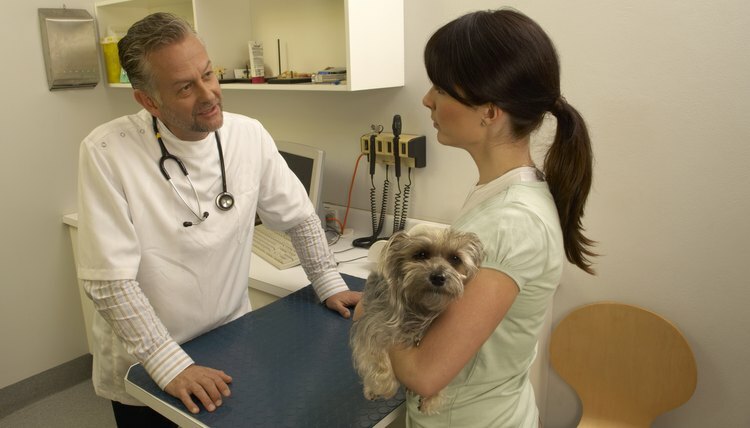 A dog with bladder cancer will have blood in the urine and will also have trouble urinating. Less often, dogs will display signs of lameness if the cancer has spread to the bones or lungs. A tissue biopsy is taken to diagnose TCC and rule out other diseases that can cause similar symptoms, such as a urinary tract infection. The biopsy is taken by surgery, cystoscopy or a catheter. There are several treatment options for canine bladder cancer. Surgery is considered if the cancer has not spread. Radiation therapy and chemotherapy are also used for treatment. Prognosis depends on how fast the tumor grows, its location in the bladder, and whether the cancer has spread. According to research at Purdue University, most dogs who underwent treatment for bladder cancer did not live longer than a year.